Long Island Alzheimer’s Foundation’s recently raised Alzheimer's awareness and $50,000 in support of individuals with Alzheimer's during its Annual Women’s Fashion Show. 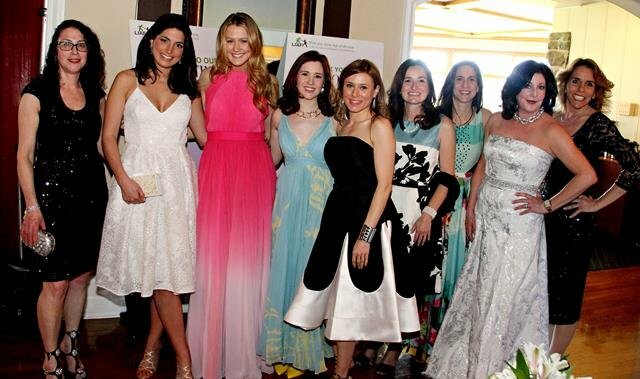 (L to R): Volunteer models Jodi Stuhl of Roslyn, Danielle Shivek of Bellmore, Fiona Phillips of St. James, Allie Eibeler of Glen Cove, Jennifer Devine of Huntington Station, Sharon Langone of Port Washington, Marla Atkin of Old Bethpage, Hillary Needle of Dix Hills and Heidi Felix of Wantagh. 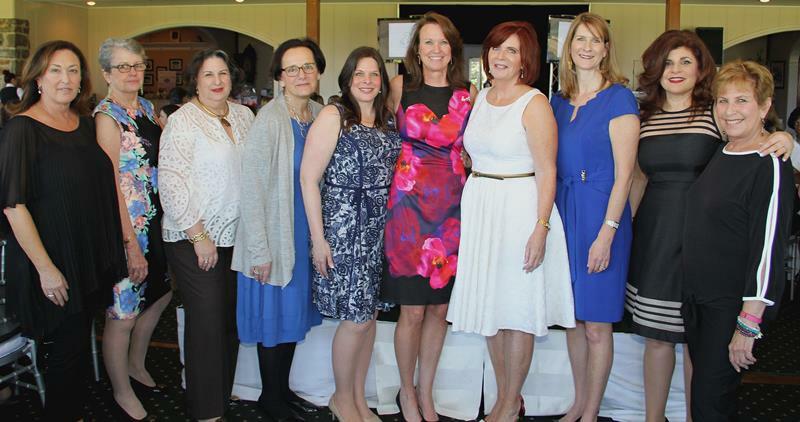 Port Washington, NY - May 17, 2016 - Port Washington-headquartered Long Island Alzheimer’s Foundation, the leading not-for-profit offering critically needed social adult day programs for individuals facing Alzheimer’s disease and their caregivers, recently hosted its annual Women’s Fashion Show in Port Washington. Pictured at the recent Long Island Alzheimer’s Foundation (LIAF) Women’s Fashion Show from left to right are LIAF Women’s Luncheon and Fashion Show Committee members Lynn Iseppon, Patricia Bailey, Francine Puskarich, Penelope Wamboldt, Laura Giunta, who was LIAF Luncheon & Fashion Show Honoree, Christine Rice, Mary Eibeler, Jennifer Cona, Lisa Waterman and Maxine Atkins. Attended by over 160 women, this sold out show raised over $50,000. The goal of this annual event was to highlight how Alzheimer’s disease impacts Long Island women as patients and as caregivers. Showcasing stylish fashions donated by Fox’s of Mineola, volunteer local women models who participated in the runway fashion show were Heidi Felix of Wantagh, Fiona Phillips of St. James, Hillary Needle of Dix Hills, Jennifer Devine of Huntington Station, Jodi Stuhl of Roslyn, Sharon Langone of Port Washington, Allie Eibeler of Glen Cove, Marla Atkin of Old Bethpage and Danielle Shivek of Bellmore. 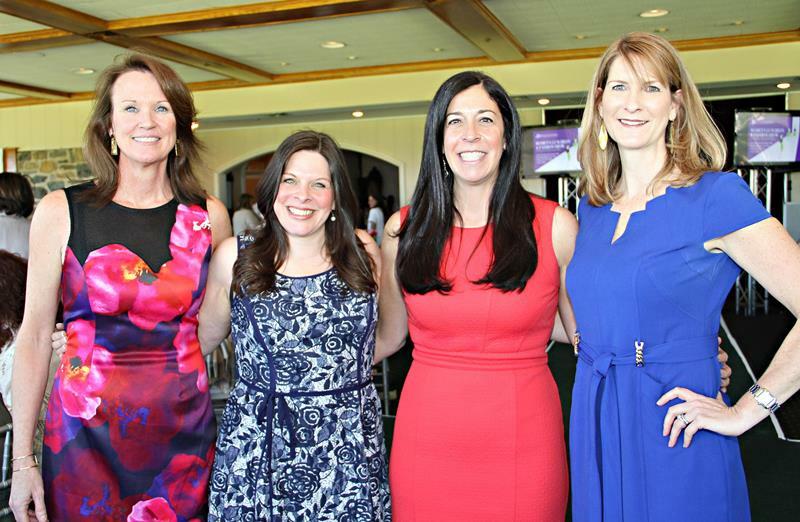 Pictured at the recent Long Island Alzheimer’s Foundation (LIAF) Women’s Fashion Show from left to right are LIAF Community Outreach and Event Coordinator Christine Rice, LIAF Luncheon & Fashion Show Honoree Laura Giunta, LIAF Executive Director Tori Cohen, and LIAF Board Member and Elder Care Lawyer Jennifer Cona. During a powerful presentation and introduction of event honoree Laura Giunta of Senior Helpers, who was recognized for her many years of dedication and service to Long Island’s senior population, Foundation Executive Director Tori Cohen addressed the many challenges women face when caring for a loved one or facing Alzheimer’s disease themselves. “Today more than 5.4 million people are living with Alzheimer’s and 15 million individuals are acting as caregivers. Two-thirds of Alzheimer’s patients are women and 60 percent of caregivers are also women. The number of individuals diagnosed with the disease is on the rise on Long Island and the demand for programs for those impacted is desperately needed. Programs are crucial for patients and also for caregivers who need respite from 24/7 coverage,” said Tori Cohen, Executive Director of the Long Island Alzheimer’s Foundation. For more than 25 years, LIAF has been providing supportive community-based services to Alzheimer’s families on Long Island. The Foundation is one of a few not for profits on Long Island which offers critically needed social adult day programs for individuals facing Alzheimer’s disease and related dementias and their caregivers. LIAF takes considerable pride in its pioneering role in the development of cutting edge services that foster the independence, dignity, well-being and safety of individuals with Alzheimer’s. Subject: LongIsland.com - Your Name sent you Article details of "Long Island Women Strut Runway for Alzheimer’s Funds & Awareness in LIAF Annual Women’s Fashion Show"